Quantum of Solace is the 22nd spy film in James Bond film series. It is due for release on 7 November 2008. It is the sequel to the 2006 film Casino Royale, which rebooted the series. It is directed by Marc Forster, and Daniel Craig is the role James Bond. The name of the film was inspired by a short story (of the same name) from For Your Eyes Only by Bond creator, Ian Flemming. The title is taken from one of a collection of short stories published by 007 creator Ian Fleming in 1960. 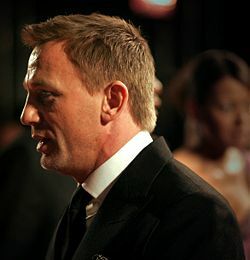 Producer Michael Wilson said the film would have “twice as much action” as 2006’s Casino Royale, which saw Daniel Craig debut as the iconic secret agent. Filming on the movie has been taking place at Pinewood since November.